Home » Free » Temporary » Richart’s here! 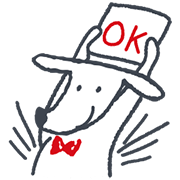 http://www.line-stickers.com/ – Richart’s here! 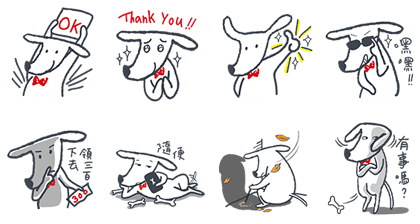 Line Sticker | Richart has arrived with his own sticker set! The smart little pup loves adventures and is also a digital bank that understands you the best. Get your feelings across with Richart! Friend Richart’s official account to get the set. Richart is back with a splendid second sticker set! This smart little pup loves going on adventures and works hard as a digital bank to meet your banking needs. Show just how you feel with Richart! Friend Richart’s official account to get the set. Available till February 16, 2017. 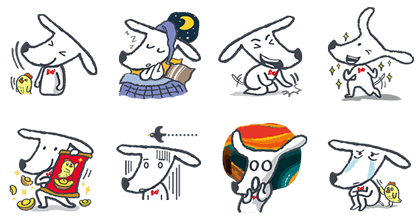 Name LINE Sticker: Richart’s here!